Hometree, a London-based technology enabled boiler installation business, has raised a total of £2.9m in its latest funding round – hitting an investment total of £4.8m in its first year. The round was led by Literacy Capital, chaired by Paul Pindar, also the chairman of Startups 100-ranked Purplebricks and former CEO of outsourcing giant Capita, who invested more than £1.5m. Other new investors include former joint chief operating officer and board member of Capita, Dawn Marriott-Sims, who will become the tech company’s chairperson and Anthony Gutman, head of UK at Goldman Sachs. Many of Hometree’s initial backers including DN Capital, LocalGlobe, Oxford Capital and Jon Moulton have also contributed new investment at this stage – previously investing back in June 2017 when the energy start-up raised £1.9m of seed funding. 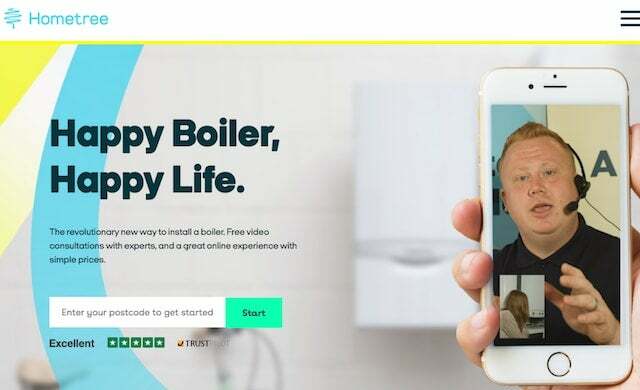 Using registered and vetted installers across the South East, the company’s e-commerce model offers customers online video consultations with GasSafe experts, a fixed rate boiler installation price, and an online platform on which they can book appointments and installation dates, receive quotes, pay, see if they are suitable for finance, and receive reminders about annual servicing dates. Currently operating in London and Essex, the energy start-up will use the fresh injection of cash to begin boiler installations in key towns and cities throughout the South East, Southampton and Bristol during summer 2018. At present, the business employs 25 full time people and 50 freelance gas engineers – with this figure set to rise to between 100 and 125 staff, and 500 freelance gas engineers, by the end of this year. With the home boiler market worth an estimated £3.6bn in the UK alone, more than 1.6 million boiler replacements are made every year – with PWC reporting the connected home market could reach $150bn globally by 2020. “We have grown rapidly in our first trading year but this fresh injection of capital will enable us to scale faster than we anticipated. “The business experience and knowledge Paul, Dawn, and Anthony bring to the business at this stage will be invaluable to us as we gear up for serious growth, potentially leading to a much larger fundraise later in the year. “As homes become more technology dependent and homeowners increasingly pay for a range of products on a subscription basis, we think that they will seek a provider that can manage the end-to-end – the installation of the hardware, the 24/7 tech support and repair services, and the seamless coordination of everything. “I’m incredibly excited to become Hometree’s chairman as the business starts to scale.